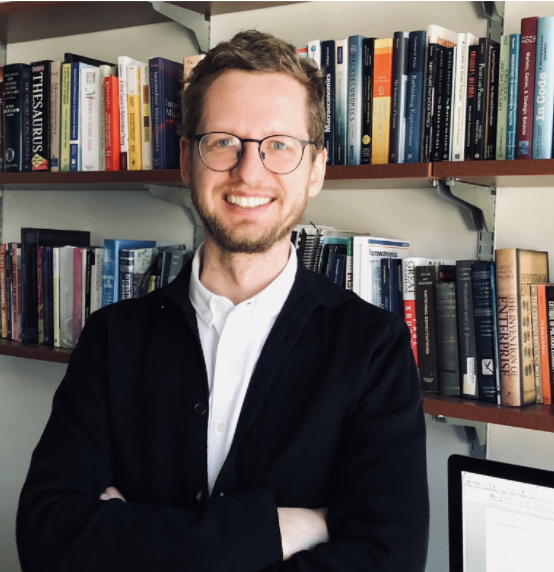 The Bank of Canada has announced that Markus Poschke, Associate Professor and William Dawson Scholar at McGill University, was selected as the recipient of this year’s Governor’s Award. Professor Poschke is an increasingly prominent member of the Canadian economics community. His research, which focuses on inequality and economic growth, has been published in some of the top journals in macroeconomics. The Governor’s Award recognizes outstanding academics at a relatively early stage in their careers, who are working at Canadian universities in areas of research important to the Bank’s core functions. The award provides annual funding of $25,000 for a term of up to two years to academics who have obtained a PhD within the past 10 years. Markus Poschke is an Associate Professor in the Department of Economics at McGill University. An increasingly prominent member of the Canadian economics community, he has been named a William Dawson Scholar at McGill, an award which recognizes scholars who are poised to become leaders in their field. He also holds positions as a Research Fellow at the Institute for the Study of Labor, the Centre interuniversitaire de recherche en économie quantitative and the Center for Interuniversity Research and Analysis of Organizations, and as Junior Research Fellow at the Institute for Economic Analysis in Barcelona. Professor Poschke’s research interests focus on inequality and on economic growth, aiming to inform public policy and institutional structures to raise the quality of life. His work combines frontier methods in macroeconomics and new approaches for analysing microeconomic data to better understand the root causes of rising inequality and stagnant growth and the effects of public policies. He plans to examine ways to improve understanding of the growth patterns of the best firms as well as the role of entrepreneurship in economic growth and to analyze the role of public policy on the distribution of income and wealth. Professor Poschke has been recognized through several academic honours, including research grants from the Fonds Québécois de la recherche sur la société et la culture and the Social Sciences and Humanities Research Council. He is a sought-after referee for leading journals in economics and is frequently invited as a speaker at top conferences and seminars, including at the International Monetary Fund, several Federal Reserve Banks in the United States and universities across Canada, the United States and Europe. Despite being at an early stage in his career, Professor Poschke has published highly-cited papers in some of the top journals in macroeconomics, many of which have become key references in the field. Born in Curitiba, Brazil, Professor Poschke holds a PhD (2007) from the European University Institute (EUI) in Florence. He completed a MA at the Institut d’Études Politiques in Paris (2003) and a MSc in Economics at Maastricht University (2003). Stephen D. Williamson of Western University and Peter F. Christoffersen of the University of Toronto are the 2018 recipients of the Bank’s Fellowship Award. The Fellowship Award provides financial support to leading academics who are widely recognized for their expertise and excellence in areas important to the Bank’s core functions and whose research contributes to the development of knowledge and research capabilities in those areas. The Fellowship Award provides annual funding of up to $90,000 for a term of up to five years. Recipients are professors in tenure or tenure-track positions at Canadian universities.